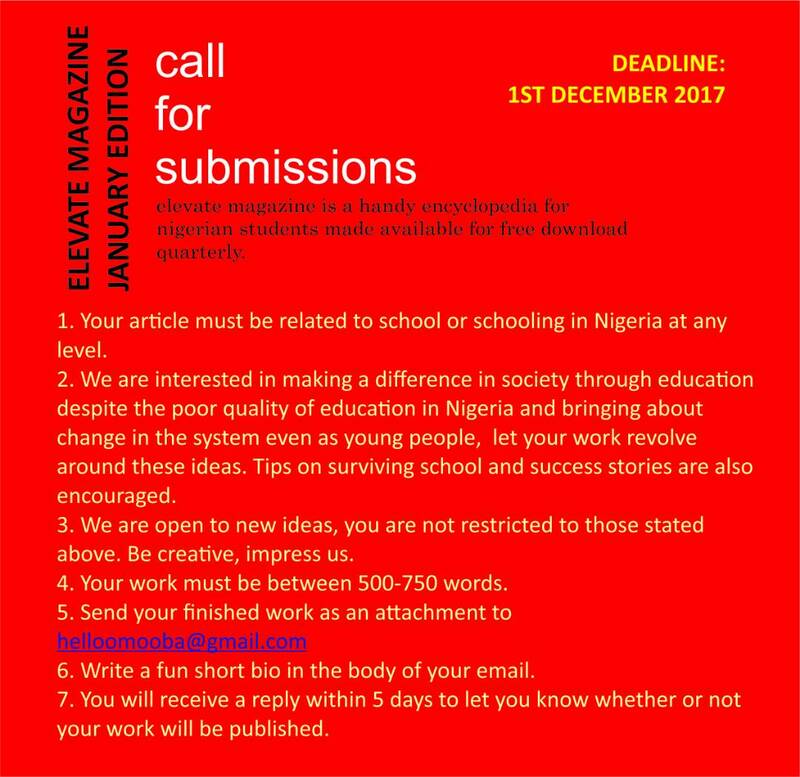 So it’s almost time to publish a new edition of Elevate Magazine. Everything you need to know is in the flyer below. If you have any questions, Holla! And if you know anyone that would be interested in this kinda thing, download the flyer and send it to them. And if you don’t know what I am talking about go download the September edition or read this honest review of the last edition. God’s glory is on tour in the skies, God-craft on exhibit across the horizon. Madame Day holds classes every morning, Professor Night lectures each evening. Their words aren’t heard, their voices aren’t recorded, But their silence fills the earth: unspoken truth is spoken everywhere. God makes a huge dome for the sun—a superdome! The morning sun’s a new husband leaping from his honeymoon bed, The daybreaking sun an athlete racing to the tape. That’s how God’s Word vaults across the skies from sunrise to sunset, Melting ice, scorching deserts, warming hearts to faith. The revelation of God is whole and pulls our lives together. The signposts of God are clear and point out the right road. The life-maps of God are right, showing the way to joy. The directions of God are plain and easy on the eyes. God ’s reputation is twenty-four-carat gold, with a lifetime guarantee. The decisions of God are accurate down to the nth degree. God’s Word is better than a diamond, better than a diamond set between emeralds. You’ll like it better than strawberries in spring, better than red, ripe strawberries. There’s more: God’s Word warns us of danger and directs us to hidden treasure. Otherwise how will we find our way? Or know when we play the fool? Clean the slate, God, so we can start the day fresh! Keep me from stupid sins, from thinking I can take over your work; Then I can start this day sun-washed, scrubbed clean of the grime of sin. These are the words in my mouth; these are what I chew on and pray. Accept them when I place them on the morning altar, O God, my Altar-Rock, God, Priest-of-My-Altar.